I’ve had four kids now, so you would think I had this mothering thing down. Every child is so different though, so I feel like I learn something new every time. Austin still loves to wake up at night to nurse, so he’s getting a lot of extra liquid. Every night I’ve had a choice: do I change his diaper in the middle of the night, causing him to have a hard time getting back to sleep, or do I leave it and deal with changing wet sheets at 5 am? This was every single night, and it was starting to get old. The solution for us was Huggies OverNites Diapers. No more diaper changes in the middle of the night, and no daily sheet changes at the crack of dawn. We’ve both been sleeping better, and anyone with a baby knows how important that is! Huggies OverNites give up to 12 hours of leakage protection, which is perfect for a full night’s sleep. They wick away moisture to keep baby’s skin dry and healthy overnight. 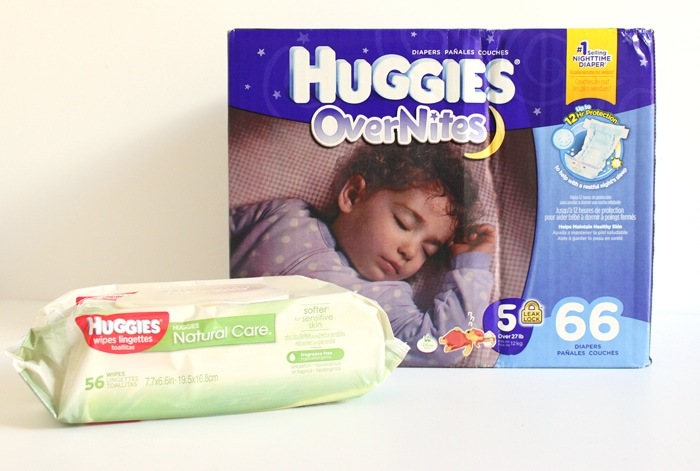 The Huggies Natural Care wipes are great too. 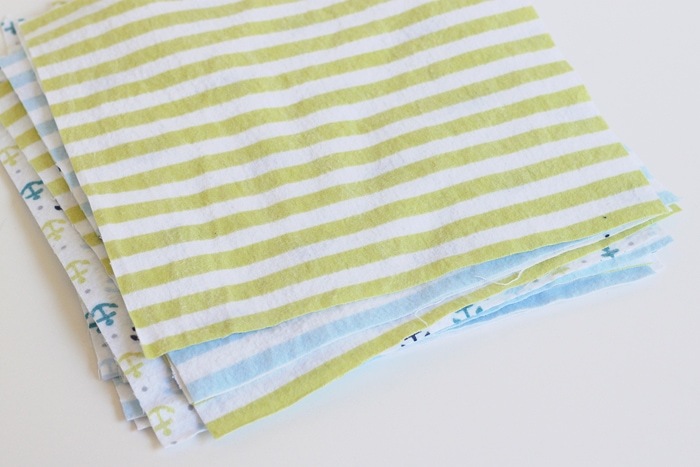 They have Triple Clean Layers which are gentle on baby’s skin, yet thick enough to clean the mess. They are made of 99 percent water for a gentle clean, which is so important for baby’s sensitive skin! Visit this page to get $2 off your first pack of Huggies OverNites – for a limited time – and find other Huggies offers. It’s also important to make sure that baby stays nice and warm to sleep well. While it isn’t safe to put a baby to bed with a blanket, you can still use one to help put them to sleep. Flannel receiving blankets are always so soft and cute, but they are never big enough to use very long. 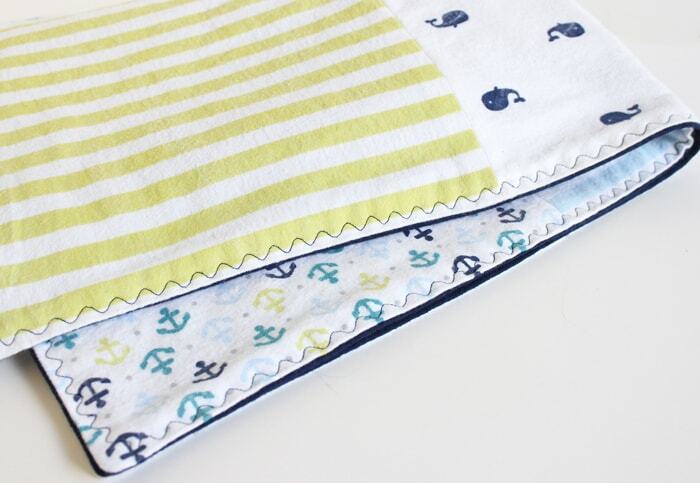 I thought of an idea to reuse them and make them into a bigger blanket that baby can keep using long after they have outgrown their swaddle. 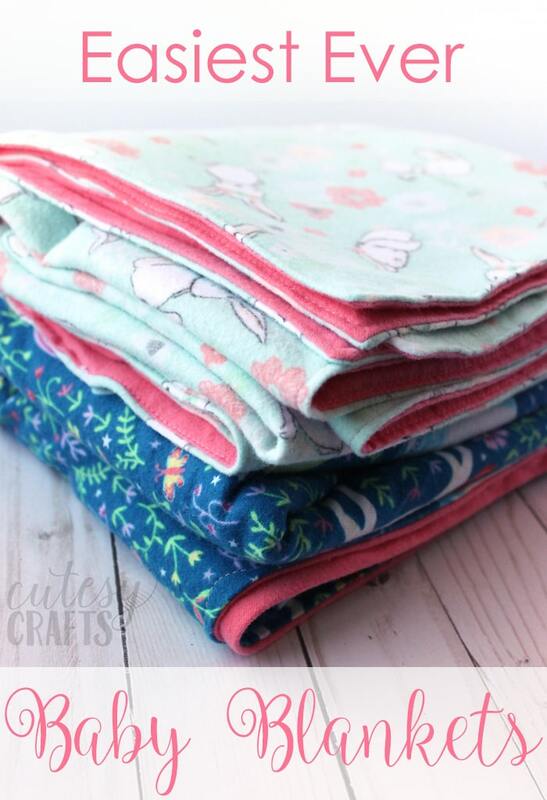 Cut your receiving blankets into squares. I made mine 10.5 inches square, but you can make them bigger or smaller for a different look. I had four blankets, and I cut three squares of each for a total of 12 squares. This made a 29 1/2 x 39 inch baby quilt. 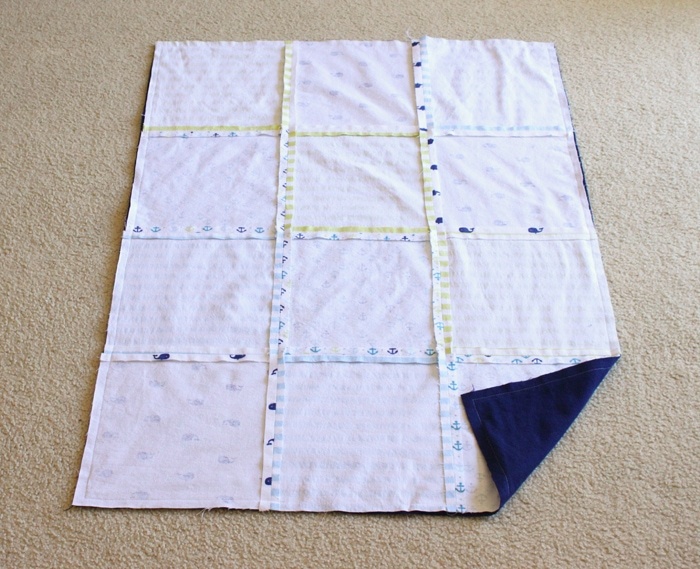 Arrange your squares and sew them, right sides together, with 1/2-inch seams. 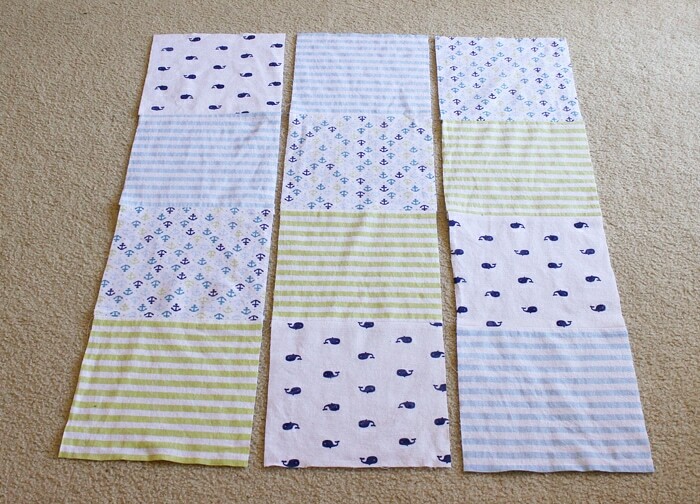 I like to start by sewing them into rows like the photo below, and then sew the rows together. Make sure to iron the seams open as you go. Cut your backing to be the same size as the finished quilt top. Pin the top and backing with right sides together. Sew around the quilt, leaving an opening a few inches wide for turning the quilt. Clip the corners without cutting the thread. Turn the quilt right-side-out through the opening and iron all of the edges flat. 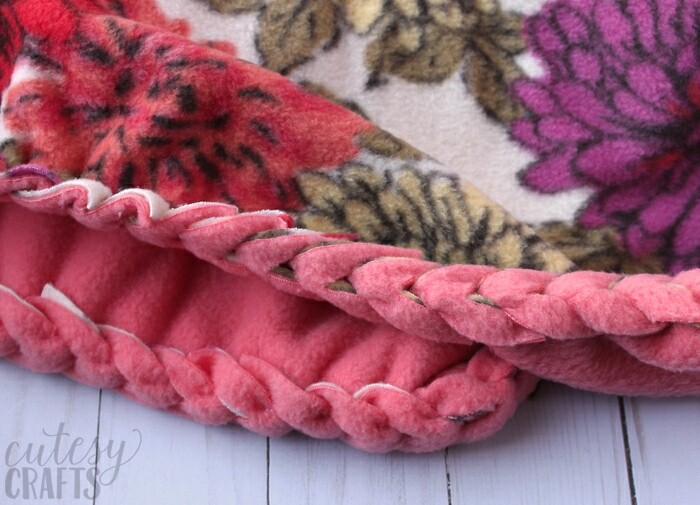 Top stitch around the entire edge quilt which will also sew your opening shut. I used a decorative stitch with a contrasting color thread, but you can also just do a regular stitch. 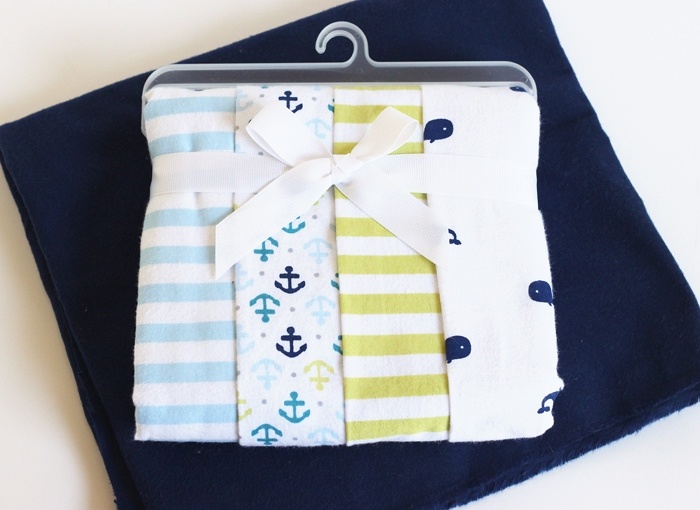 This was so easy to put together, and it would make a great baby shower gift! I even had enough fabric leftover to make some matching burp cloths! I think Austin likes it! I just had to share this cuteness. 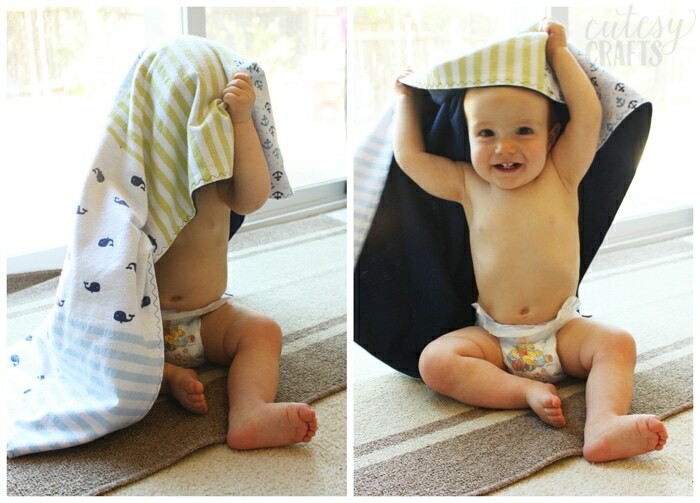 He put the blanket over his head and was playing peek-a-boo! This kid seriously melts my heart! I can’t believe he’s almost a year old already. What solutions do you have to help baby sleep better? Check out these other baby crafts for more ideas. Cute idea,especially when you have too many receiving blankets. I like the colors in this one. However, it is still technically, a blanket. A quilt should have 3 layers. Ah, I was wondering if this would count as a quilt since I didn’t technically “quilt” it. So it’s the 3 layers that makes it one! Thanks for the information. This is a very cute Idea! I just love it! Thanks for sharing! where did you get those flannel receiving blankets? They’re adorable! I believe those were from Target last year. This is just what I need to make using all the receiving blankets I have.thanks for your time . The finished quilt is not seen as the one in the hand of the baby. 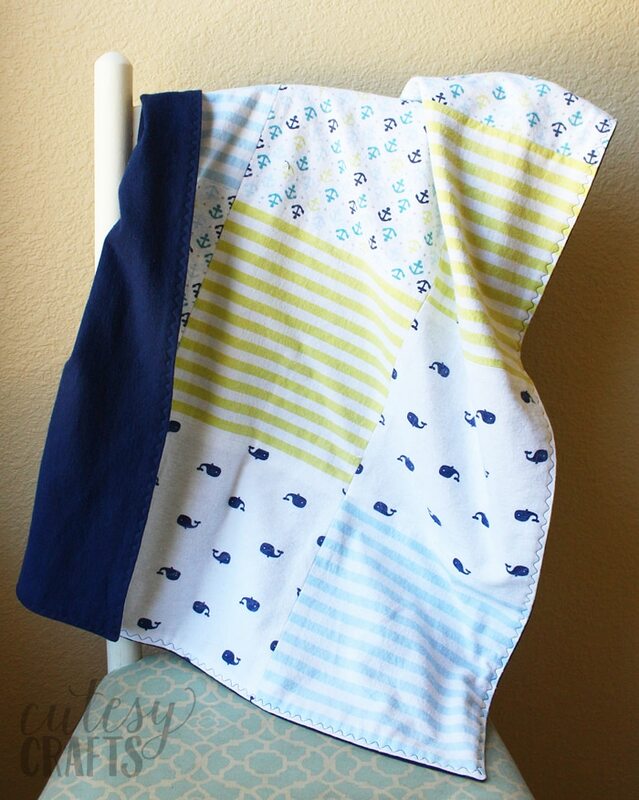 The navy fabric seem to be within two quilt pieces ; in the one with the baby seem to only having one of cuttins and other side only with navy. I want to do it because looks so cute but do not understand well the instructions with thye view. 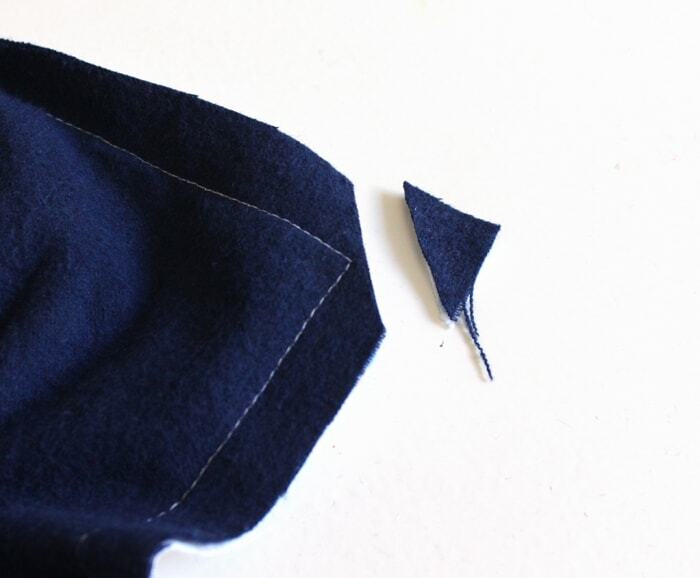 One side is the cut pieces that are sewn together. The navy side is just a solid piece of fabric. Oh, how funny! Great idea to make a larger quilt!